For today's AGENDA, click here. For today's initial PowerPoint Presentation, click here. This link will be disabled 7 days after the meeting date. You may use this in place of the "parking lot." This form will be used after you Think-Pair-Share. Please enter your group's thoughts into the Google form. 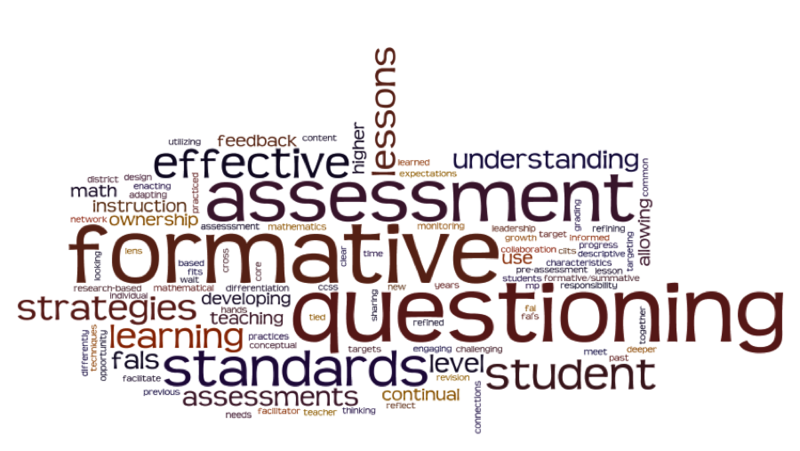 The results will be used to create a Wordle for later analysis. What characteristics of effective teaching have you learned about, practiced, refined over the past 2 years of the mathematics leadership network? Teacher Professional Growth and Effectiveness System document is found here. Each grade level group will use resources from this site to deepen their understanding of the CCSS/KCAS content standards through the lens of the Practice Standards. These rich tasks illuminate the practice standards. You may use these resources with other teachers in your district as professional learning in horizontal and/or vertical teaming/PLCs. Clicking on the title will redirect you to the FA Lessons tab on this site. There, you will be able to choose elementary or middle/high lessons. Click or tap on Marty's name, above, to go to his site/Blog. You will be able to view the Prezi he used for us. Click or tap on the domain titles to download the documents. I created a video (4:33 minutes) to show you how to get started in creating your own Google Forms like the ones I used for Monday's meeting. To access the video just click or tap on the title, above. Click or tap on the title, above, to view the compiled responses to the Evaluation Form for this meeting. The Evaluation Form used to generate this information is included, below.